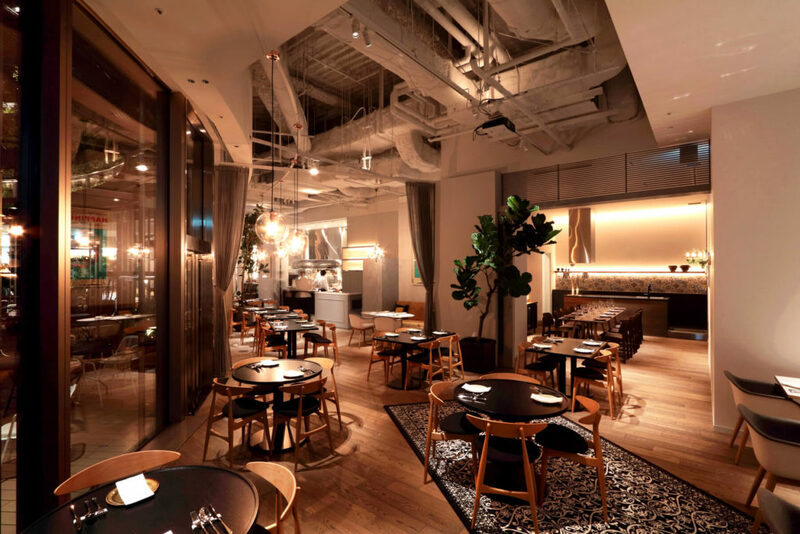 Perfect for a late night date, elegant tea time with friends or casual lunch with friends, this new stylish restaurant in Hibiya will keep you coming back. 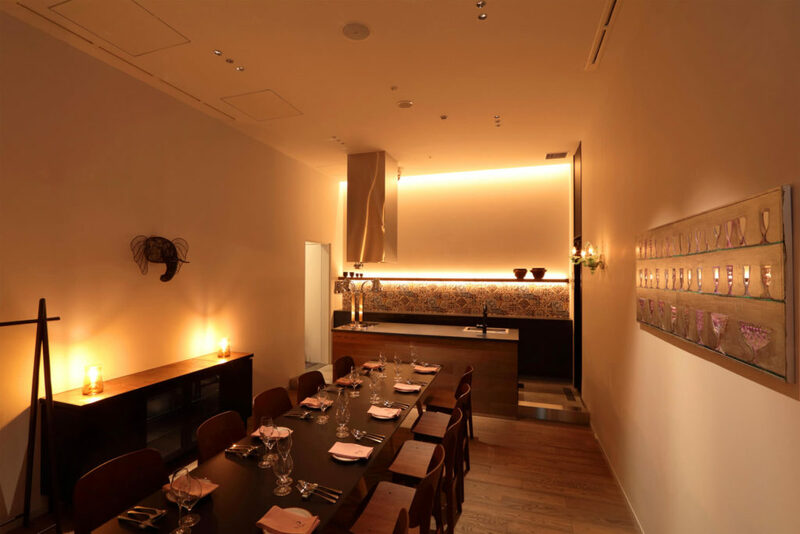 Smooth jazz music greeted me as I entered the sophisticated Drawing House of Hibiya, an innovative fusion restaurant perched above luxury shops in Hibiya Midtown. Floor to ceiling windows, a vast beautiful terrace and a breath-taking view are hard to come by in Tokyo, but this place has it all. I walked passed a curious mix of guests: One table held six Japanese businessmen having a formal exchange over wine, another was a group of laughing women having drinks after work, and there was a sprinkle of dates enjoying candle-lit dinners throughout the restaurant. It was clear that they were all there for a common interest: the class and ambiance of the venue. 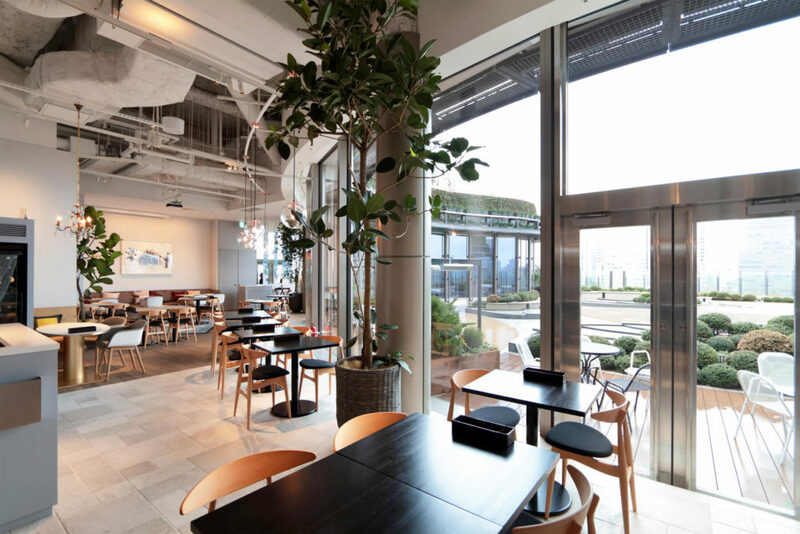 The Drawing House of Hibiya opened nearly a year ago in March 2018, with the aim to showcase French and European cuisines using Japanese produce and ingredients in a modern atmosphere. Chefs Miyamoto and Azegami are passionate about showcasing the best produce from different parts of Japan with an emphasis on seasonality and organics, so the menu changes every season and you can enjoy the best of what Japan has to offer. 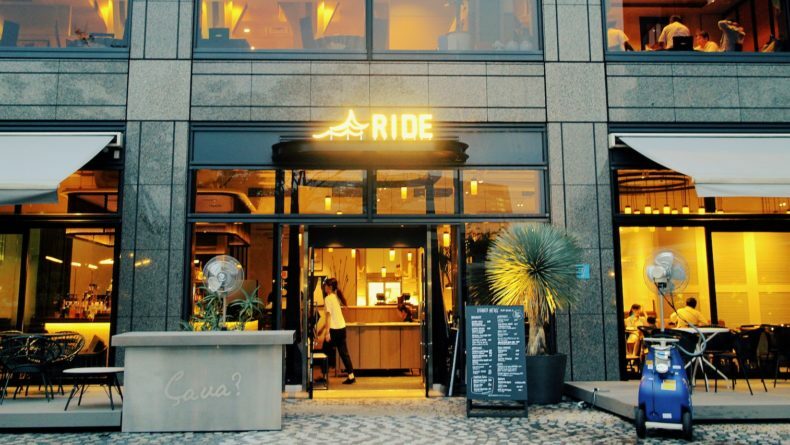 You also have the option to eat western style either through ordering their course menu or selecting a la carte dishes for yourself, or you can order a selection of dishes and they will provide you with small plates for sharing Japanese style. With Spring on the horizon, my partner and I got to enjoy selections from the Ehime and Miyazaki regions, currently on promotion at the restaurant. We tried the Ehime mandarin orange sea bream carpaccio (pictured below, ¥1,400), Ehime taro baked gnocchi (¥1,280), Miyazaki charcoal grilled beef (¥5,800), and the seasonal Ehime mandarin jelly coconut ice cream. 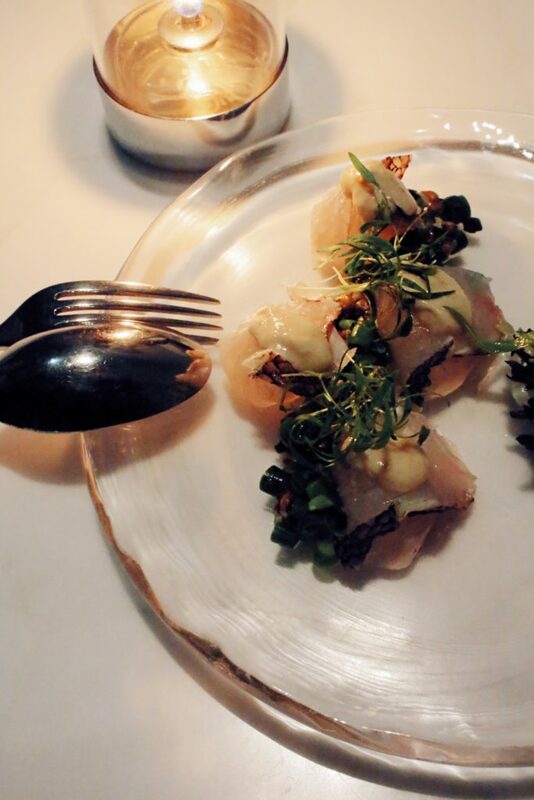 Each dish had a beautiful presentation — I felt like I was eating delicate pieces of art. I enjoyed how all of the dishes were recognizable in form but had unique flavors because of the fusion between Japanese and western ingredients. Even though a few days have passed since visiting the venue, I still have a craving for the carpaccio — it came with a sesame seed dressing that I had never tasted before, but the combination made so much sense in the scheme of Japanese cuisine. I found the gnocchi to be slightly harder in texture, but it came with a shrimp and butter seasoning that was unique and flavorful. The beef just melts in your mouth and is the must-try on the menu — it came with a few different seasonings you could use, my favorite of which was the barley miso which has a kick you can’t quite get from sauces that haven’t been fermented. I almost didn’t want to try the dessert because it was so pretty to look at, but the mandarin jelly with coconut ice cream were a nice refreshing way to end the meal. Each savory dish came with a wine pairing. I enjoyed that we had a chance to try Japanese wines as, usually, sake is the go-to beverage when you think of Japanese alcohol. But because the restaurant was a fusion between European and Japanese foods, it only felt right to explore the Japanese wine options. My partner was impressed with the extensive wine list, and he also found the cocktail menu to be standard but reasonable in price. 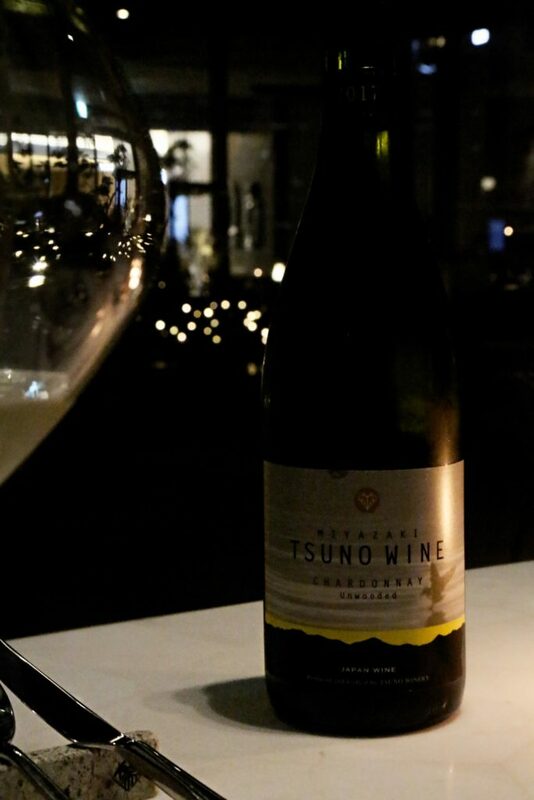 I’m admittedly not a big alcohol drinker but I definitely could be after trying the Miyazaki Tsuno Wine Chardonnay — I kept coming back to this one throughout the meal. My partner (who quite enjoys alcohol) agrees that it was the best and he also loved the Tsuno Wine Muscat Bailey A Estate. 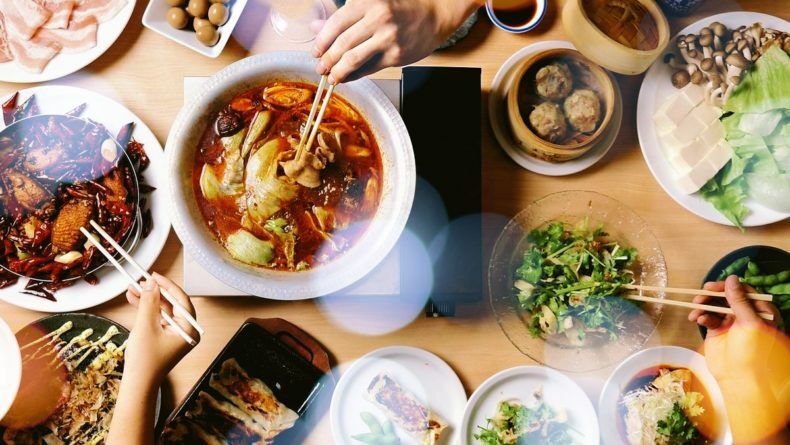 Although they offer English translations of all menu items, you have to have a knowledge of European cuisine and Japanese produce to understand the details. Luckily, a third of their wait staff speak English, and they also have an English speaking sommelier who can make recommendations for both the food and wine pairings. Also, if you have any food allergies or dietary requirements, the restaurant can make accommodations even upon ordering, so it’s a flexible place to visit if you’re looking for vegan or gluten-free options. They might not be able to make substitutes within select dishes, but they can customize a new menu for you. Lunch prices range from ¥1,500-¥4,500 per person, and dinner prices are quite reasonable for the quality for their a la carte menu and with courses ranging from ¥7,000 to ¥13,000. Their ¥7,000 course can be ordered after arrival, but other courses must be reserved in advance. Wine pairing is also an option starting at ¥5,000 per person, and they even offer a soft drink pairing for those who want to avoid alcohol but join in on the experience. Going back to the atmosphere, the interior has a contemporary design that makes it transition from a clean, bright sophisticated lunch spot, to an intimate candle-lit experience in the evening. When you go out onto the terrace, you have views of Hibiya park on one side and a beautiful city skyline on the other. One of the perks of the view is that it’s not blocked by high rise buildings, so you really get a special experience from any angle. Even from inside the restaurant, you don’t have to sit near the window to enjoy the impact from the terrace side of the building. The venue offers two private rooms as well. One room can accommodate 4-6 people and has a lovely view out of the window onto the terrace. The other room in the back of the restaurant (pictured below) can accommodate up to 12 people. While it doesn’t have a view of the terrace, the area is located near the open kitchen where you are close to the action. You can even book out the entire restaurant for various purposes, including wedding parties, and have access to the full terrace — that would make a fantastic cocktail event. I look forward to coming again and am keen to try their lunch menu, perhaps with a girlfriend after we spend some time shopping at Tokyo Midtown Hibiya. 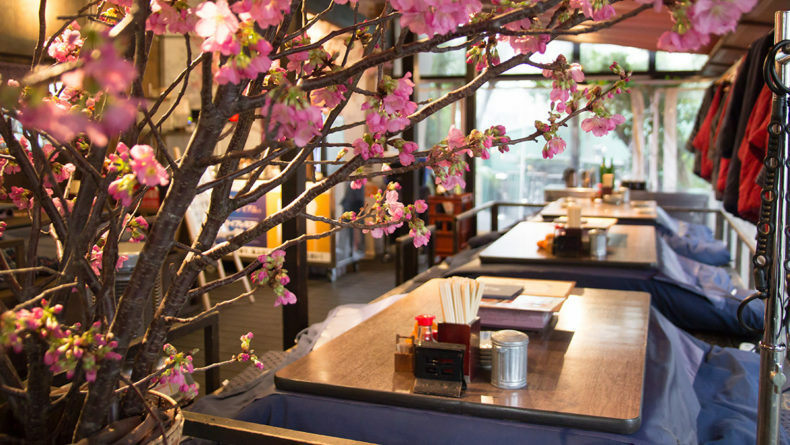 It’s a place that certainly invites you to experience the best view in Tokyo with the best foods from different parts of Japan — and even the world! Business Hours: (Lunch) 11 a.m.-2:30 p.m. (Tea Time) 2:30 p.m.-5:30 p.m. (Dinner) 5:30 p.m.-11 p.m.
Dinner time age limitation: Please note that customers must be above elementary school age at dinner time. You had us at kotatsu. We found the perfect after-party spot in town! This ocean-inspired restaurant keeps summers running throughout the year and lets you be a queen who rides a boat to get her lunch.